NEDME is very glad to count RIGOL as one of this year’s Gold Sponsors! RIGOL focuses on test and measurement solutions in the electronics industry, and has an operation here in Beaverton. 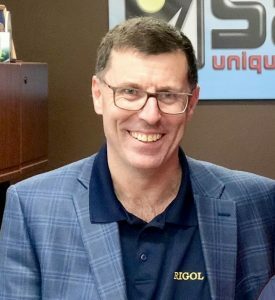 Mike Rizzo, a general manager at RIGOL, was kind enough to share some of his thoughts with our NEDME community in advance of the show. The history of innovation and entrepreneurship is ingrained in the northwest electronics industry. By delivering powerful test and measurement solutions at unprecedented price points, RIGOL allows small to medium sized technology companies to afford performance and analysis capabilities that were previously unavailable. We hope to continue to grow the RIGOL portfolio and increase awareness of our commitment to delivering unprecedented customer value.